Nine holes of pure enjoyment amongst lush terrain & spectacular views! 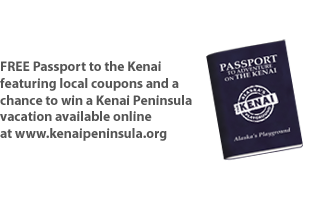 Did you know that the Kenai Peninsula is a Golfing destination all in it’s own? You heard it right- a Golfing destination! Sure, the river offers great fishing and the mountains offer great hiking, but aside from all of that is history that is rich with great golf courses that have a prominent place within the many communities on the Kenai Peninsula. Last week we visited the beautiful Birch Ride Golf Course located just off of the Sterling Hwy as you head into the fishing town of Soldotna, Alaska. Upon walking into the clubhouse, we were greeted with a bright smile & warm hospitality by Pat Cowan, Owner. As we pursued around the Pro Shop, we were pleasantly surprised to see a great selection of retail items (clubs, bags, balls, clothing, and more) offering Callaway, Titleist, Srixon, Cleveland, and Bridgestone apparel and equipment items all displayed in a very organized and appealing fashion. Next, we wandered into the cozy Pat’s Place Snack Bar & Lounge where we noticed lots of happy people enjoying good company, refreshing beverages, & yummy treats amongst a clean, casual atmosphere with great windows offering wide-open views of the golf course. As we drove around the course, we observed that the golf course offers a variety of holes that integrate the natural contours of the land while preserving the beautiful Alaskan scenery, including two active volcanoes, the Kenai Mountain Range and the Kenai River Valley. The views were so refreshing and we simply could not stop breathing in the utter beauty. Aside from the distractingly great landscape & views, you will also find Birch Ridge Golf Course uniquely challenging. The course record is (-8) 62, recorded on 8/21/09 by Aaron Dexheimer, a playing Pro on both California and Alaska circuits who grew up on Birch Ridge Golf Course. Great Accommodations! If you’re coming to town to FISH, HUNT, or simply to get out and PLAY on the Kenai Peninsula, but you aren’t a big golfer, you still have a home at Birch Ridge Golf Course. That is what we love about this place, it truly does appeal to even those who aren’t big golf enthusiasts. And let’s be honest, who doesn’t want to stay somewhere with a beautiful, lush view of immaculately landscaped terrain? We fell in love at first sight. Their cottages can accommodate up to four people and are equipped with full kitchens, DIrect TV and WiFi. The decks overlook the second green and feature gas grills for barbecuing. Our Executive Suite includes a king size bed, a fireplace, mini-kitchen, (refrigerator, micro-wave, toaster oven, coffee pot, dishes, etc.) Direct TV, WiFi, all at very competitive rates. If you are guests in the Cottages or Executive Suite you’ll receive a 50% discount on Greens Fees and Rental Clubs during your stay. 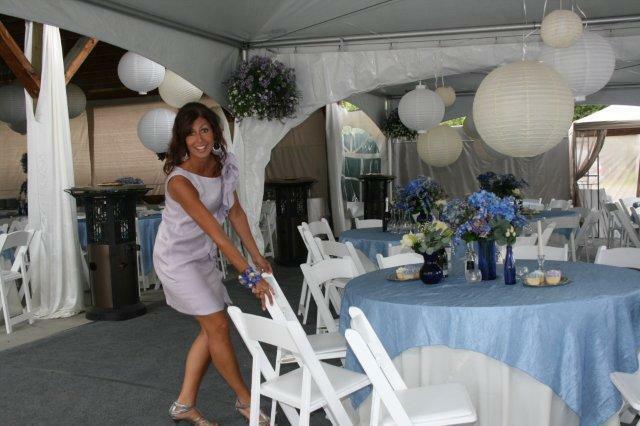 Wedding, Retreat, or Special Event? You guessed it… they do that too! Looking for a unique location to hold your special event? 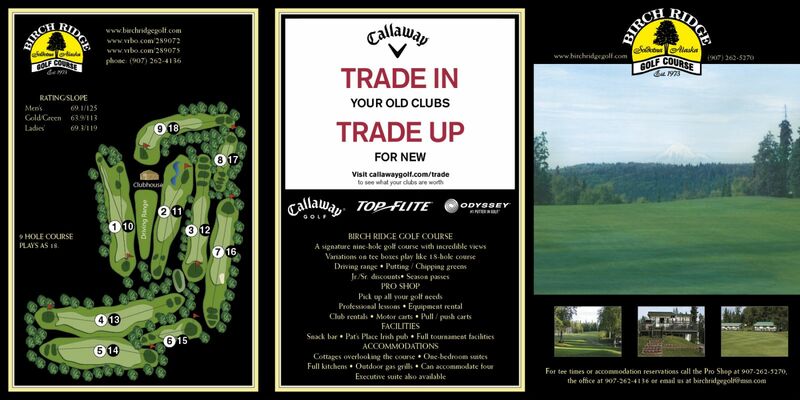 We encourage you to consider Birch Ridge Golf Course. Birch Ridge has hosted numerous weddings, class reunions, birthday’s, retirement parties, etc… in recent years with great success! They have a pavilion and cart barn that with a little work can be transformed into just about anything you can imagine. The pond guarding the second green is a short walk from the event area creating a wonderful background for any ceremony. In the past we have even rented out the entire facility for a weekend. Talk about a golfing get away for your family and friends! Birch Ridge also offers excellent accommodations for family, friends, and guests that you may be entertaining during your event. For more information about the accommodations Birch Ridge can offer please visit the accommodations page on this website. Dining Across “The Cove” Never Tasted So Good! Art, Food, & Coastal Living in Halibut Cove! “There is an easy way to say this: EAT HERE. This restaurant is the best of everything you want if you are planning a trip to Alaska. Views? Check. Great, local food? Check. Good drink selection? Check. Great people? Check. The seafood comes fresh every day, and is chosen carefully. The preparations are amazing, and you can’t go wrong with any Kachemak Bay staples like crab, salmon, halibut, oysters or mussels. There is nothing they do poorly here, and the small number of tables make for an intimate, special, wonderful eating experience. Be sure to check in with the Danny J office for your ride across the bay. This special boat is the ferry service for Halibut Cove, and offers a lunch “tour” trip, and the direct dinner service. Reservations are required for The Saltry, but you can find your own way across the bay if you prefer to skip the Danny J’s services. However, the ride is worth it all in itself–the views are amazing, and the way Kachemak Bay looks from the water is amazing. 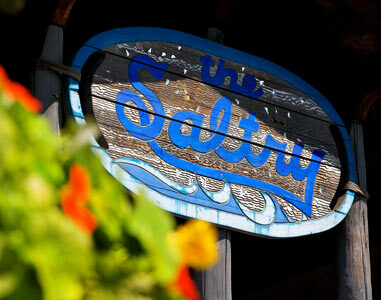 If you think the view of the Kenai Range is nice when you come down the hill into Homer, wait to see what it looks like from your table at the Saltry! This is a meal you should splurge on while you are here. Make it 3 courses, and you won’t be regretting any of it. The wait staff are all very knowledgeable, honest, and friendly. Wine or beer pairings are well made, and there is a small bar on site as well. Overnight options exist, and some use the Danny J as their way to get to Halibut Cove and on to adventures in Kachemak Bay State Park.